November -BIG yawns for Sophie & guest Erika..
JULY: Alpha, new Champion (& son of our Best in Show Champion "Michael") & Lauren Fox. Lauren & i had the pleasure of showing & training Alpha for his owners. Much thanks to Judge Ronald Horn for awarding Alpha his final win - a 4 point major out the open dog class, and Best of Winners to boot. JULY! Food Truck socialization with Ali & Lindsey! JULY: Katherine at her bridal shower in Cary, NC & her Champion 9 yr old girl,Tashi who sure acts and looks like a svelte puppy! JULY: Comet honored to receive his championship at 11 mos of age, with a 4 point major out of the bred-by class under esteemed Judge, Edd Bivin . MARCH: Jagger gets a start on stacking for the show ring! 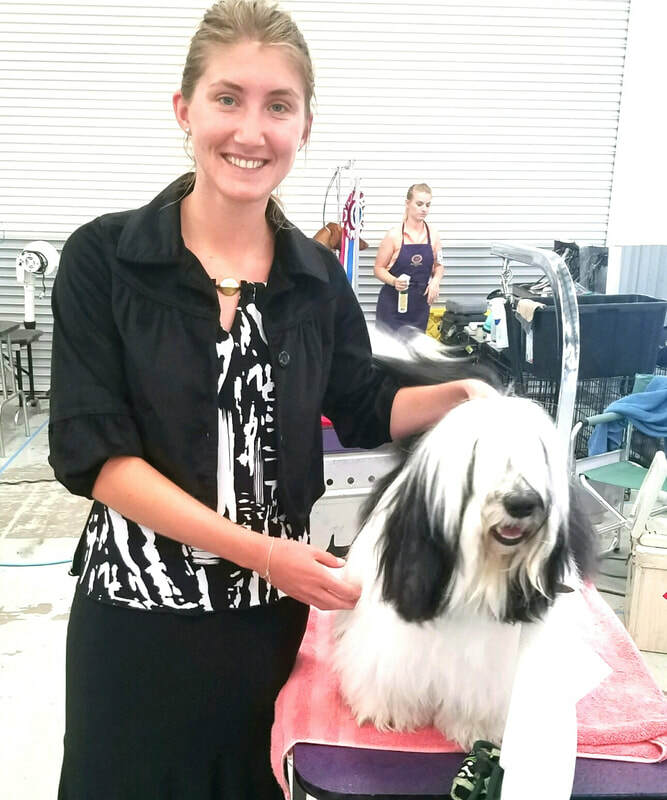 JUNE: French guest Julie attends her first dog show & gets to hang with Baker, Susan Van Hecke's breed winner. JUNE: Photoshoots can be challenging! 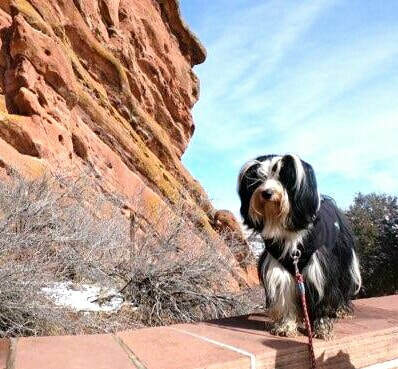 MARCH: Comet on a road trip. Bench sign reads "Home is where the journey begins"